Mike Pedicone spoke to Kerrang! about his dismissal from My Chemical Romance. 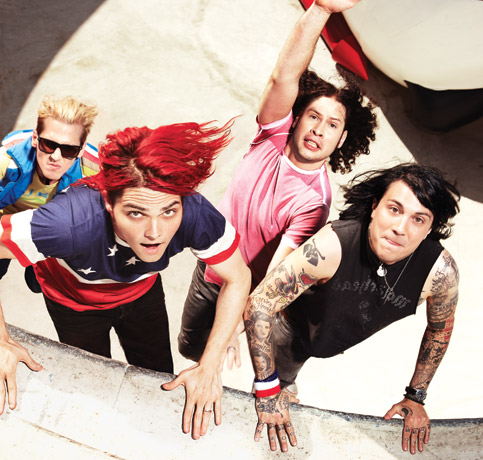 "To the media, my colleagues in the music industry, and, most importantly, the fans of My Chemical Romance. As many of you have heard by now, on Thursday evening I was let go as the touring drummer for MCR. The ensuing hours have been difficult for many reasons, but particularly because the actions that led to my dismissal have been twisted and misinterpreted via rumour mongering on the internet. With this, I’d like to put the rumours to rest. Almost as soon as I began touring with MCR I ran into problems with a member of the band’s crew who I’ll not name. The problems were many, big and small, but some of them were large enough that they began to greatly impact me and, by extension, my family. I’d reached my wits’ end, and I made what was certainly the poorest decision of my life. Rather than address the issues that I had with the crew member in an open and honest manner, I tried to make them look irresponsible. My intention was to make this person look incompetent. I had no intention of profiting whatsoever. Again, I cannot overstate how poor my judgment was in this situation; it was a tremendous mistake, and it’s one I’ll regret for years to come. I’d like to thank MCR’s members, crew, and supporters for giving me some of the best musical experiences of my life in the past several months. However brief our partnership, it was an honour and a dream come true to play with such a talented bunch of individuals. I wish MCR the best of luck in the future, and I’m looking forward to my next endeavour.